​Laguna pack Fortnite is a new starter pack fans can purchase, but at the time of writing, it won't be available on every platform. Here's everything you need to know about the game's latest starter pack. Epic Games launched a new starter pack for ​Fortnite players. ​It first went live in Australia and the United Kingdom on Monday and went live in other countries Tuesday. The Laguna starter pack will include the Laguna skin, which is of a female model with a bright red suit and tan pants. 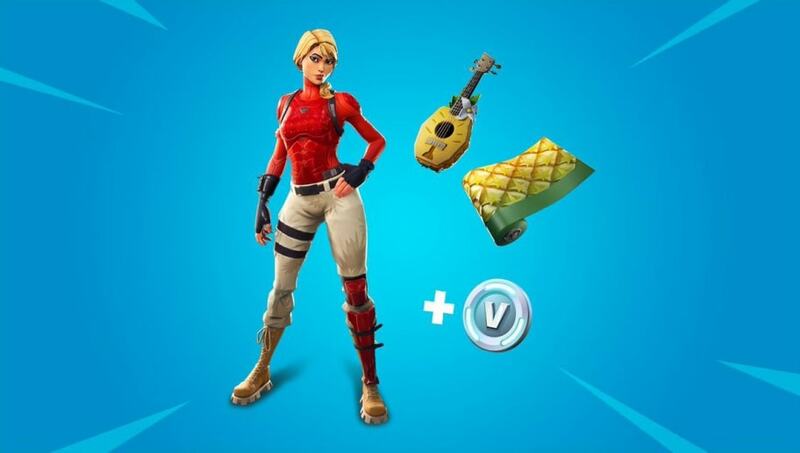 It will also come with the Pineapple Strummer back bling and the Pineapple weapon wrap, which can be used on any weapon to give it a tropical look. Fans will also get 600 V-Bucks with the starter pack. The starter pack will cost $4.99 to purchase. It was available on PC and later added to the Xbox store and PlayStation store for players. It is unknown if it will go live for the Nintendo Switch and when fans should expect it.